Museum-lovers will get to explore Musee d'Orsay and Louvre Museum. Get a sense of the local culture at Chartres Cathedral and Champs-Elysees. Take a break from Paris with a short trip to Palace of Versailles in Versailles, about 48 minutes away. 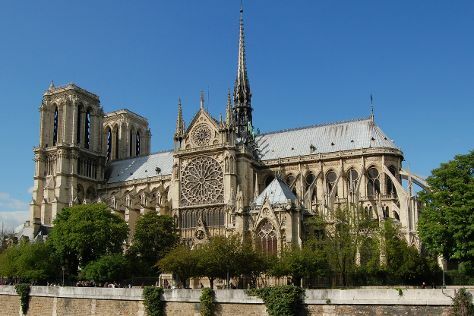 There's still lots to do: contemplate in the serene atmosphere at Cathédrale Notre-Dame de Paris, admire the striking features of Sainte-Chapelle, and pause for some photo ops at Arc de Triomphe. To see where to stay, ratings, reviews, and tourist information, you can read our Paris trip itinerary planning site . If you are flying in from United States, the closest major airports are Paris-Orly Airport, Charles de Gaulle International Airport and Paris Beauvais Tillé Airport. In August in Paris, expect temperatures between 77°F during the day and 57°F at night. Wrap up your sightseeing on the 5th (Sun) to allow time to travel back home.